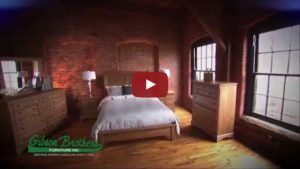 Quality Furniture Made in the USA | Gibson Brothers Furniture Inc. Quality Furniture Made in the USA | Gibson Brothers Furniture Inc.
Entertainment centers, home office, and bar stools. All are available in store or available for ordering. If you are looking for great furniture made in the USA, stop in at Gibson Brothers Furniture today. Are you looking for great-quality furniture that will make your house more comfortable, relaxing, and enjoyable? Would you like to purchase a furniture set that is built to last and made in the USA? At Gibson Brothers Furniture, you can find all of this and more when you shop with us for your next living room, bedroom, or dining room set in Mooresville, North Carolina. We are proud to be a family-owned and operated business that has been helping our customers meet their furniture needs for over 60 years. 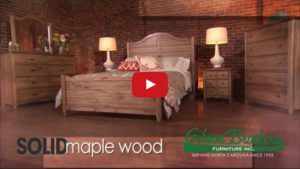 Come see us today to look at our bedroom sets and other furniture options that can make your house a home in Mooresville. From the most comfortable recliners to your new favorite ottoman, our living room sets are designed to give you functional and beautiful options for your home in Mooresville. We are committed to providing you with quality recliners that make your moments of rest and relaxation in Mooresville enjoyable. We have over 60 years in the furniture business, so you won’t be disappointed when you choose Gibson Brothers Furniture for all your needs. We look forward to seeing you soon! Whether you want to look at living room sets or recliners, our selection and service set us apart in Mooresville. When you choose us for all your furniture needs, you won’t find a pushy sales environment or service that is impersonal and lacking. We are committed to providing you with the same high-quality service that you expect from your furniture. We carry a variety of brands to meet your needs. We are happy to provide options that are made here in the USA, and we even offer financing and delivery options that help you get your new furniture to your home. Whether you need a single piece or a whole set, we have the furniture selection to help you achieve your goals. You don’t have to settle for poor-quality furniture or poor-quality service when you need options for your home in Mooresville. Come by our 14,000-square-foot showroom to see our excellent selection, and we’ll assist you in choosing the furniture for your needs.